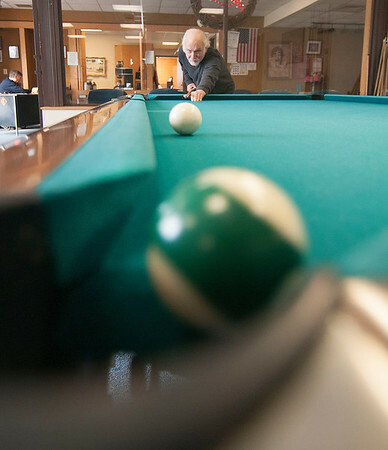 Niagara Falls, NY - Pete Monahan of Niagara Falls sinks a ball in the corner pocket playing pool at the John Duke Senior Center. Monahan discovered the senior center shortly after retiring this year. "I've only been coming a few weeks. I never knew the variety of activities offered until recently," he said.